041A5371-4 is a one piece 433MHz logic board with end panel and remote control replacement kit. The end panel does not include a light socket for a light bulb. 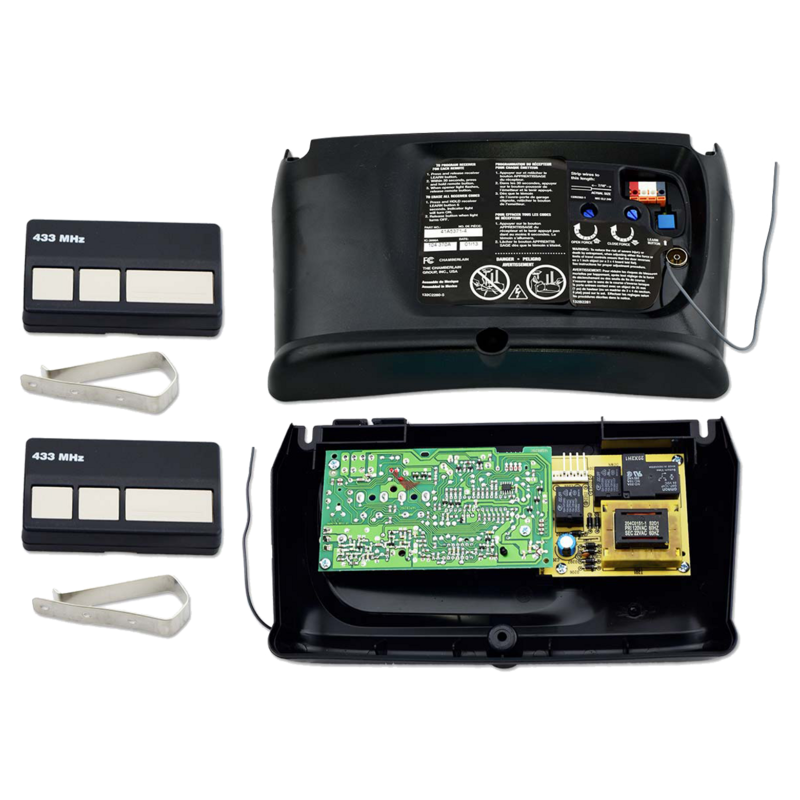 Compatible with various 433MHz belt and chain drive garage door openers. The unit will feature a blue learn button. This package includes; (1) 433MHz logic board and end panel, (2) 433MHz remote controls, and (2) remote control visor clips. Check the manual for your specific model number before ordering to ensure compatibility.